Health and wellness are just as important for pets as they are for people! As a dog owner, it's up to you to ensure that your dog engages in wellness activities. 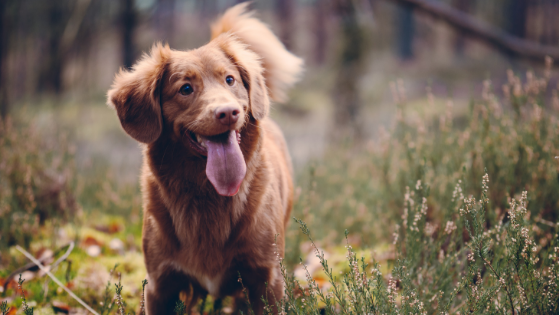 The following three suggestions can help your dog stay healthy and increase happiness at the same time. Here's what you need to know. Dogs need to exercise at least once per day, if not multiple times each day. Take your dog out for a walk at least once in the evening or once in the morning. Some dog owners like to take their dog out over lunch, but take care not to do this on days when the weather is very hot. Dogs can get heat illness, just like people. Going out in the early morning or in the evening after sundown can help keep your dog safe. If you're not able to take your dog out daily, hire a dog walker or take time to play with your dog. This will help ensure that your dog gets his exercise. Some dog owners reward their pets with treats when they've done a good job. This type of reward can lead to weight problems, especially if you're training your dog and thus giving treats regularly. Buy some toys that your dog will enjoy; then reward your dog with play instead of food. Brushing your pet's teeth can prevent tooth decay and gum disease. Dogs need their teeth brushed about once each day. If you're not in the habit of brushing your dog's teeth, you'll need to train your dog to accept tooth-brushing. Talk to your pet's vet or a trainer to find out how this is done. Use toothpaste and a toothbrush made for dogs. Never brush your dog's teeth with toothpaste made for humans, because human toothpaste contains ingredients that can be toxic for dogs. 2460 Peachtree Apartments is a thriving community nestled in the great city of Atlanta. We welcome you to join us! To see our available apartments in Atlanta, GA, contact us today to make an appointment.